Dodododo….dododododo…dodododo… (You know you were singing it too). It’s the final countdown to the 2014 Disneyland Half Marathon Weekend. Holy cow! How did that happen?!?!?! My summer, which for the past 5 years has been filled with training for this race weekend, was a total disappointment, filled with injury, surgery, weight gain, and lack of any preparation. I don’t even have my costumes ready—and that’s not like me at all! Usually at this time I’m going stir crazy because I’m tapering and have a ton of extra time. But nope, not this year! This year I’m not prepared at all and heck, what’s there really to taper from? I haven’t trained a lick! At this point, the question has to be asked, “Should I even run this race?” Yes, I use the term “run” loosely, because I know 100% that I won’t be running most of the race. 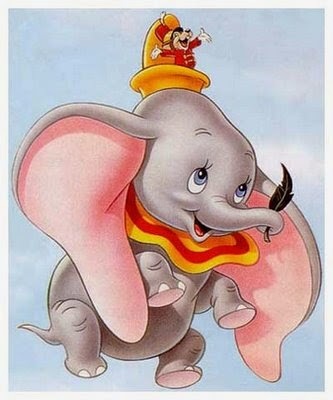 There are a few reasons I don’t want to DNS (did not start) this race: it’s my Coast to Coast to go with my amazing Dopey Challenge, Dumbo is supposed to be my Legacy race, and ALL of Disney Runs in the Family will be running. Considering we live in 3 different states, that’s pretty rare! You see…I can talk myself into “needing” to do this race in a heartbeat. The honest truth is I’m not even sure I can finish. I’m a stubborn person, but I don’t know if that’ll be enough to get me through. I’m nervous, not packed, and in no way ready to go. My costumes aren’t even finished. This is not like me at all, but hey, I’m sure once we get there it will be fine (right…tell me it’ll be fine…). So, for those of you traveling, safe travels. I hope I get to meet some new friends. Be sure to connect with us through Twitter (@DisneyRunFamily) and Instagram (DisneyRunsInTheFamily) to keep up with all that’s going on this weekend. And please, if you see me around, come say HI! I’ll be the SLOW one on the course!